Summer is here and everybody is thirsty. Don’t fall for the “vitamin waters, energy drinks, flavored waters, or recovery shakes” marketed at grocery stores and even gyms. Most of that stuff has more gut disrupting additives than it does water. If you plan on hiking, walking your dog, playing with kids more, just enjoying your summer, here are 5 hydrating and detoxifying tonics to try! We all know there are tons of things out there to drink that wreak havoc on your body. Most companies are more concerned about creating a delicious addicting concoction than they are about making something that will help you achieve better health. Sometimes you really want something more than just plain water and it can be hard to find anything that is worth your time and money. When you are thirsty and need something healthy and nutrient-dense to power boost your energy, where can you turn? Sodas and other “popular” drinks are filled with sugar, HFCS, artificial ingredients and food colorings that are KNOWN to cause cancer and other terrible disease! 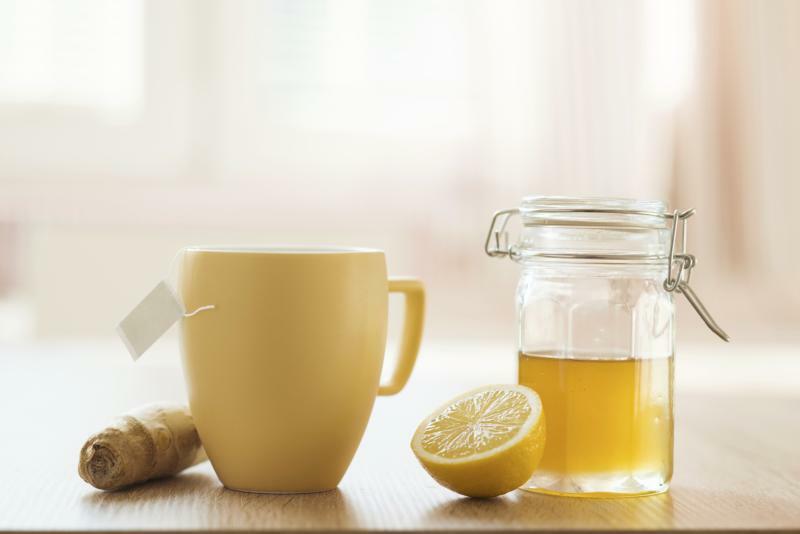 Opt for drinks that will FIGHT disease rather than CAUSE IT. You CAN have delicious drinks all summer long that not only quench your thirst and satisfy your taste buds, but will take care of your precious body at the same time! You know that lemon water is great for digestion and weight management, but what happens when you combine that with 2 super powerful ingredients? An amazingly refreshing and intensely beneficial tonic! ACV (apple cider vinegar) is an amazing multi-tasker that has antimicrobial, antibiotic and antioxidant properties. Japanese Samurai, Roman soldiers and military groups throughout history have used apple cider vinegar as an energizer and also for its medicinal properties. In 400 B.C., Hippocrates, the Father of Medicine, used it for its amazing natural cleansing, healing and energizing qualities. Despite vinegar being acidic by nature, it actually helps to balance your pH levels, which helps support a healthy body, decreasing chronic inflammation and warding off illness. Vinegar has been shown to lower blood sugar and insulin levels thus helping with weight loss and those with insulin sensitivity. “Perhaps the most researched and the most promising of apple cider vinegar’s benefits are in the area of type 2 diabetes. Several studies have found that vinegar may help lower blood glucose levels. In 2004, a study cited in the American Diabetes Foundation’s publication Diabetes Care found that taking vinegar before meals significantly increased insulin sensitivity and dramatically reduced the insulin and glucose spikes that occur after meals. ACV is also great for digestion. Simple mix 1-2 Tablespoons with a Tbsp raw honey and warm water. Cinnamon helps to metabolize glucose to prevent fat storage and helps food digestion in a way that makes you feel fuller for longer. It’s also a great anti-inflammatory spice! Stir everything together and enjoy over ice. Raw cranberry juice and water help to cleanse the kidneys, the liver, the bowels and the lymphatic system from harmful toxins. Most people are familiar with cranberry juice for its ability to help with urinary tract infections! Cranberries are rich in vitamins, minerals and antioxidants and only contain about 45 calories per cup of raw cranberries. Cranberries contain multiple substances that help to remove fat from the lymphatic system, as one of the functions of the lymphatic system is to aid in the absorption of fats from the digestive system and transport them to the blood for circulation. Cranberry juice has been studied for its amazing antifungal properties. When you buy cranberry juice, look for pure unsweetened and organic juice (many of the stuff found in most supermarkets is loaded with sugar or artificial sweeteners). AVOID anything that says ‘cocktail’ or ‘from concentrate’. Combine the water with the rest of the ingredients. You can dilute it as strong or as weak as you prefer. Researchers and health professionals alike RAVE about the health benefits of green tea! It is known for boosting your metabolism and helps you burn fat faster. Christopher Ochner, PhD. and researcher says “ It’s the healthiest thing I can think of to drink!” Not only that but he claims you can save over 50,000 calories a year by replacing your daily can of soda with green tea! That’s roughly 15+ pounds of excess weight! 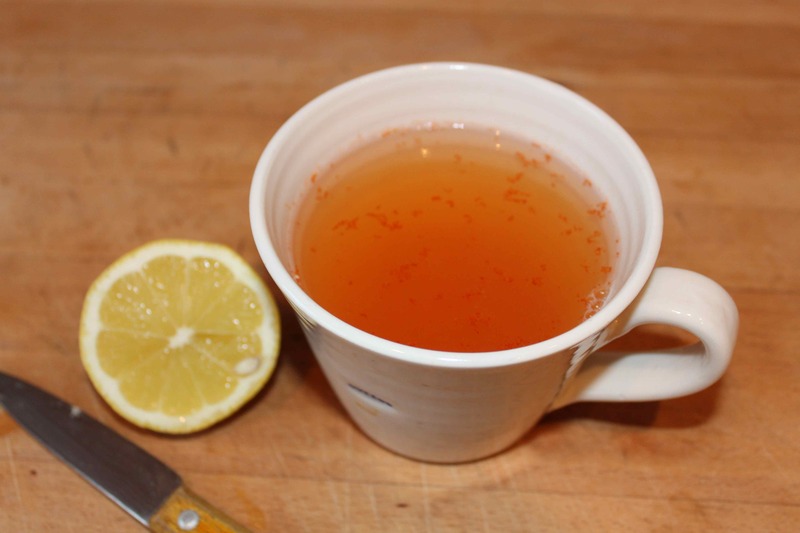 Mix in a little ACV and raw honey and you’ve got the perfect weight loss aid. ACV helps create alkalinity in the body, helping to reduce cravings for unhealthy foods. Normally, fat remains as an unused resource in the body, adding bulk and weight, but it is believed that honey has the ability to mobilize this stored fat. When this fat is burnt to provide energy for your daily activities, you will see a gradual decrease in weight. Prepare 1 cup of freshly brewed green tea with honey. Wait for the green tea and honey mixture to cool down before adding the ACV. Ginger is great for digestion and promoting a strong immune system. It has been used for centuries in traditional and ayurvedic medicine and has recently been studied extensively for its many medicinal qualities. It has been shown to inhibit cell growth in ovarian cancer cells as well as decrease the size of tumors in rats with colon cancer. Give this drink to your pregnant friends! Ginger can soothe many common pregnancy discomforts such as morning sickness, heartburn, cramps, migraines and inflammation. Honey helps to burn fat, but it also helps to soothe the GI tract thus supporting a healthy immune system (remember, 70-80% of your immune system is in your gut). Combine all ingredients in a jar or glass. Cover and refrigerate at least 2 hours and up to a day. Shake or stir before serving. Taste and adjust sweetener, if desired. If using fresh ginger, strain through a fine sieve or cheesecloth. Pour over ice or mix with soda water, if desired. Low in sugar, sky-high in beneficial vitamins, minerals, micronutrients, antioxidants and more! I can’t say enough about the benefits of green juice. Fresh green juice gives your digestive system a rest as it is absorbed extremely quickly and takes little energy for the body to process. I would say this is hands down the best drink for energy, weight-loss and warding off disease. You can juice it yourself, go to a juice bar (make sure it’s organic produce) or use something like Organifi. Be wary of commercial green-juices as many of these contain additives, unnecessary flavors or too much fruit juice concentrate (sugar). Don’t drink immediately before or after eating a large meal – because green juice is absorbed/digested quickly, you want to drink it on its own. Stick to recipes that are 80% pure vegetable juice. If this is too much for your taste buds to handle at first, start with 65% veggies and work your way up! Here are some of our favorite home-juice recipes! Now that we’ve give you 5 of the most hydrating and detoxifying drinks out there, I don’t want to see anyone reaching for Gatorade or soda! I promise it is worth a little extra effort to make and/or buy a good drink that will benefit your health instead of harm it. What is your favorite delicious summer drink? Have any good recipes you think we should try? I would love to hear about them!